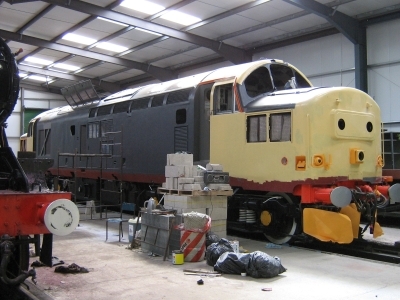 37152 - really taking shape in the new shed ! 37670 6B60 1645 Irvine - Mossend asgn A/LBT at Toton 06-21/04 5D. 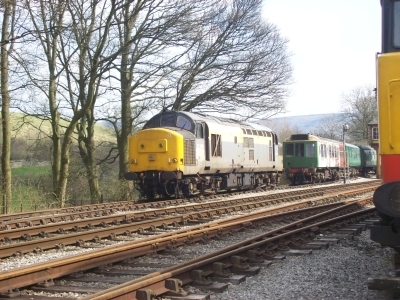 The 37254 Locomotive Group is pleased to report that Spa Valley Railway-based 37254 worked its first timetabled service  as opposed to those at Diesel Galas, and Charters  in preservation on Saturday 11th April. The working was the 10.50 from Tunbridge Wells West to Groombridge and 11.34 return, which is usually scheduled for diesel or electro-diesel traction (the remainder of the days timetabled journeys are rostered for steam locomotive haulage), and the diesel/electro-diesel locomotive then acts as standby locomotive for the rest of the days timetable. 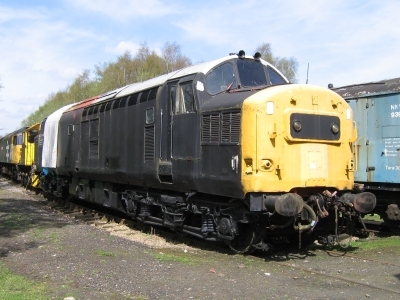 It is hoped that 37254 will be rostered for some of the 2009 Timetables other Saturday (10.50 departure) and Sunday (10.35 departure) first-train-of-the-day services. 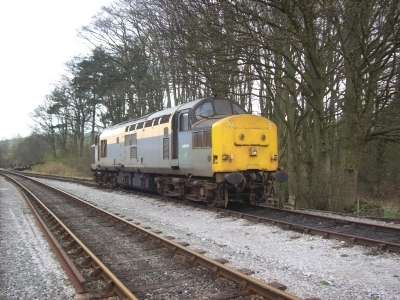 37254  along with 33063, 73140, 2591 and 15224, plus a visiting Tamper  is rostered to work at the Railways Spring Diesel Gala on 25th & 26th April.